American Silver Eagles are produced by the U.S. Mint and are backed by the United States government. They were first minted in 1986 after the approval of the Liberty Coin Act on July 9, 1985. 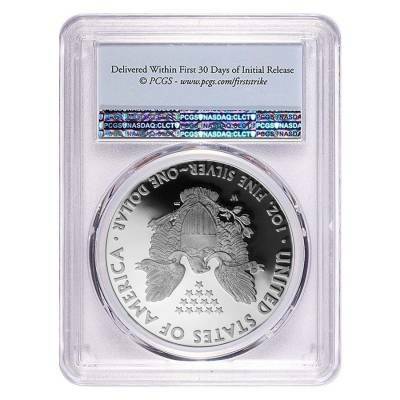 This 1 oz Silver Eagle has a denomination of $1. These coins are minted at three different U.S. Mint branches; Philadelphia Mint, San Francisco Mint, and the Denver Mint. This coin is graded by PCGS with a grade of PF 69 - which certifies it as nearly perfect. 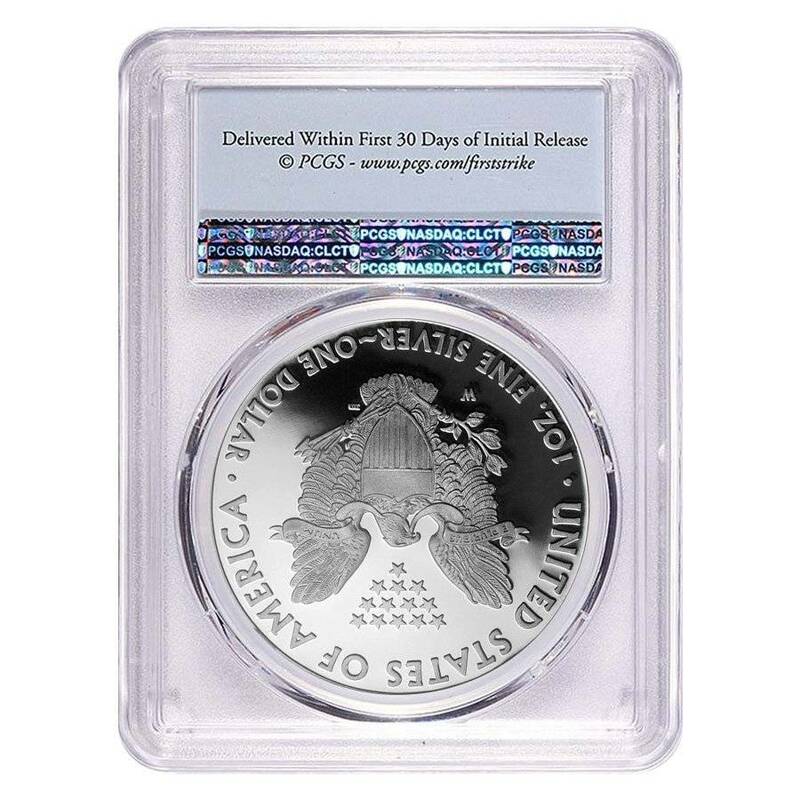 This Silver Eagle has a gorgeous deep grade proof finish to it. The First Strike designation guarantees that PCGS graded it within the first 30 days of issue and it was struck at the reputable West Point facility. 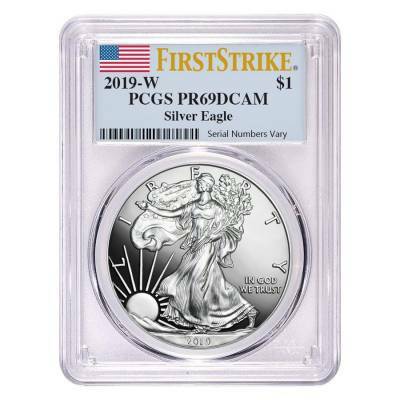 Bullion Exchanges is proud to carry 2019 Proof Silver American Eagle Coins along with many other popular coins from the U.S. Mint. Add this beautiful coin to your collection today, and it will be carefully wrapped, packaged, and delivered to your address. If you have any questions, send us a message through our website or email us at customerservice@bullionexchanges.com and we will be happy to assist you.